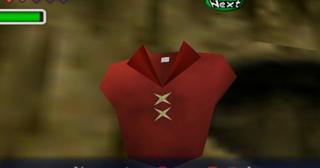 Throughout Link’s adventure in The Legend of Zelda: Ocarina of Time he must find new tunics in order to survive the extreme heat and cold. These items have been considered essential for completing dungeons, but speedrunners have found a risky way to never use them thanks to a new glitch. 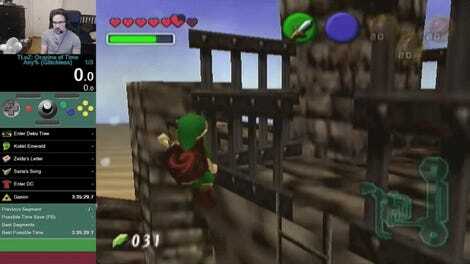 Ocarina of Time tracks Link’s health in 1/16th increments. While the hearts in Link’s lifebar only show each quarter of the heart, the game looks even lower than that. It’s possible to have what appears to be one quarter heart of health left but have that value actually be 1/16th of a heart. Chris7 discovered that if you have exactly 1/16th of a heart of health, the game never brings up the special timer when Link enters hot areas or sinks deep underwater. The game usually runs a countdown that returns Link to the entrance of areas if he stays in places that require special tunics without one for too long. Without that timer, players are free to remain in these areas. It’s a neat trick that went undiscovered for decades but asks the question: is it useful outside of speedrunning? Speedrunners are still mapping out the implications of the glitch, but it seems like it will cut some time off the Reverse Dungeon Order category, which completes the game backwards. Skipping the Goron Tunic could save up to a minute of time. It’s less useful in other categories, such as “Medallions, Stones, Trials,” in which runners complete much more of a game and survive the Fire Temple thanks to a boosted health pool. Ocarina of Time constantly surprises with new glitches and developments that drastically cut down on game time and shake up major speedrun categories. Skipping Link’s extra tunics alters some speedruns and gives casual players an new way to explore the game world.. if they want to take on the challenge.